These memes are the reason why ‘’SATAFRIKA’’ has no chill, check them out! While every day is a different crisis in ‘’SATAFRIKA,’’ the world of memes keeps on growing into a no-chill zone that finds humour in everything and everyone. Whether you are Jacob Zuma, Malusi Gigaba or Unathi Msengana, when it is time for social media to roast and meme-fy you afterwards, your status or money won’t be able to save you! While Jacob Zuma saw it as a necessity to reshuffle his cabinet, South Africans took to Facebook and Twitter to express how big of a joke his decision was. One thing any person visiting South Africa should know is that; you can touch anything in South Africa, just don’t touch their grant money, ask Bathabile Dlamini what will happen if you do. This was a rather unfortunate incident, but as soon as rumour spread of a security guy who is an alleged accomplice of the heist criminals buying a Lamborghini and flashing it till he got arrested, Mzansi took to social media to create a mockery of the situation. 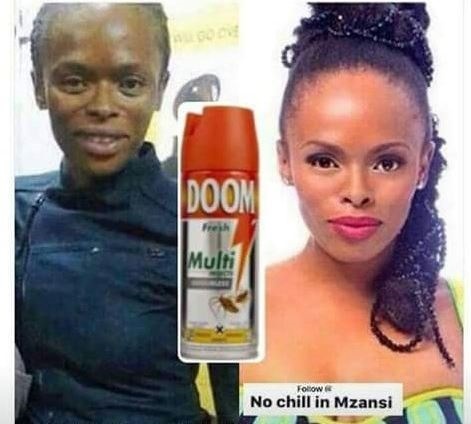 While this pastor sprayed doom on his congregants as a way of ‘’healing’’ them, South Africans took this situation to a whole different level. ← Confirmed! Bonang Matheba exits Metro FM! Watch: First day of school is always a struggle!